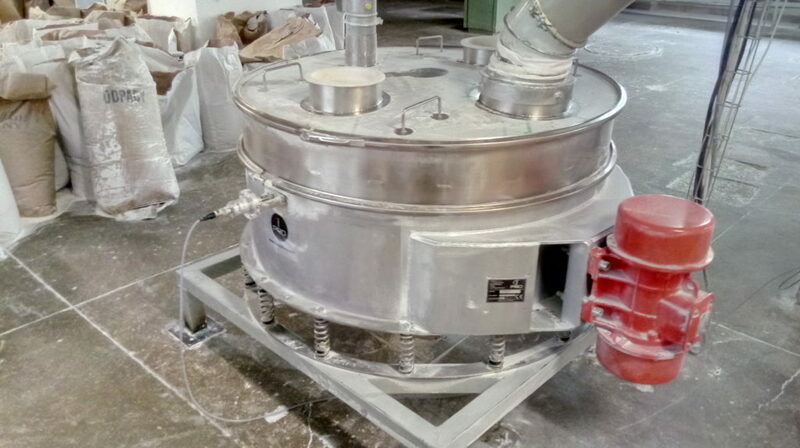 Vibrating sifters (safty screeners) for control sieving and fluid filtration | iPRO Sp. z o.o. 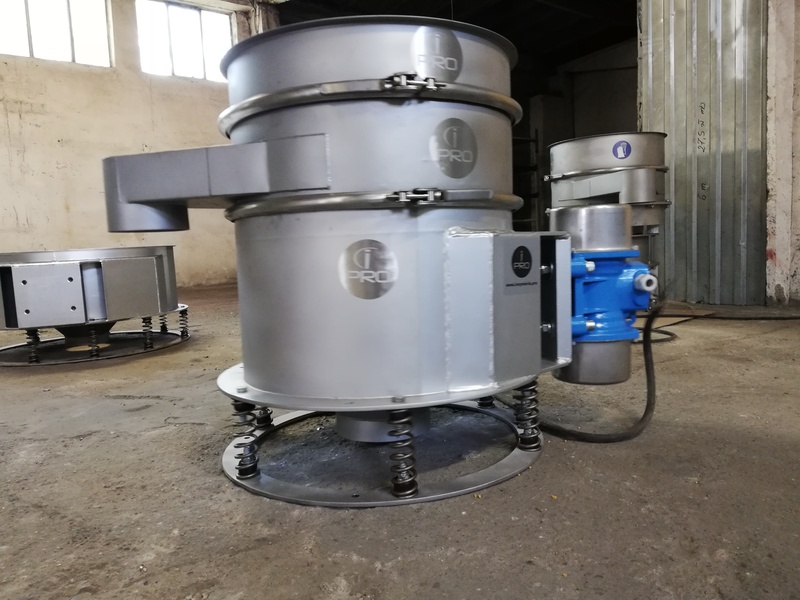 Vibrating sifters commonly referred to as safety screeners or control sieves are suitable when safety sieving is required to assure the quality of both powder and liquid products, and are designed to provide a high sieving rate. Good material passes through and any larger unwanted material is retained above. 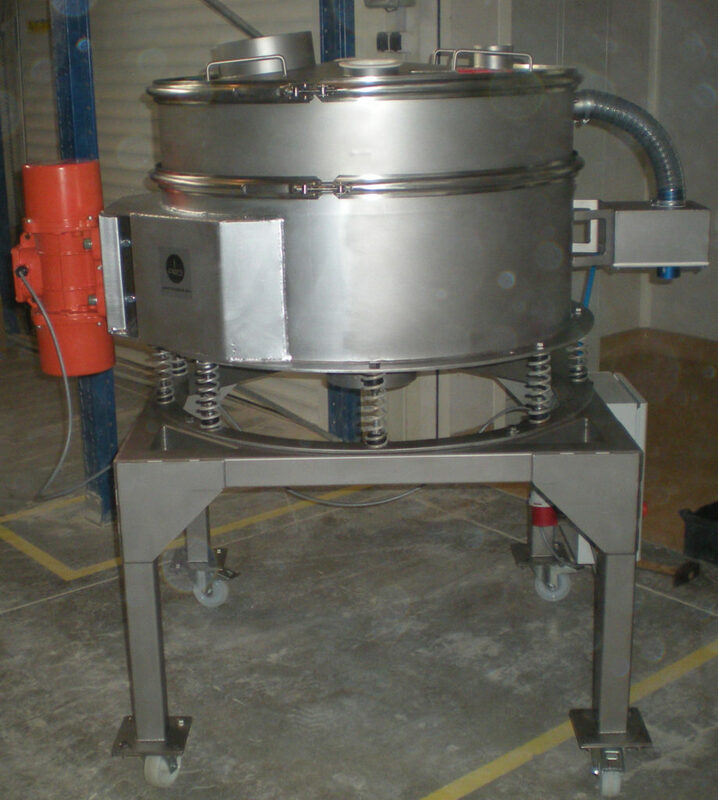 Vibrating screens with side motor(s) provide successful production of many products. Most often used before packing to eliminate lumps and dirt and for fluid filtration. 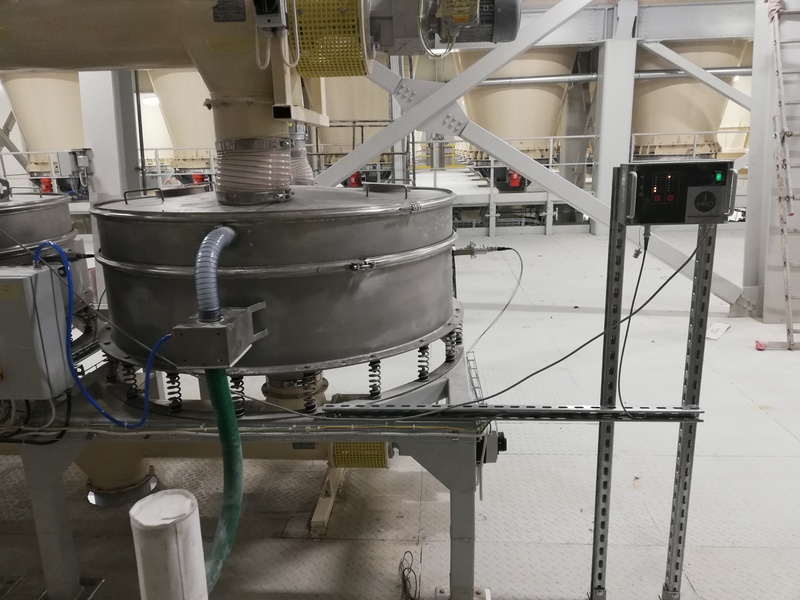 Thanks to ultrasonic mesh cleaning systems, we obtain high performance and efficiency of sifting with small machines dimensions. 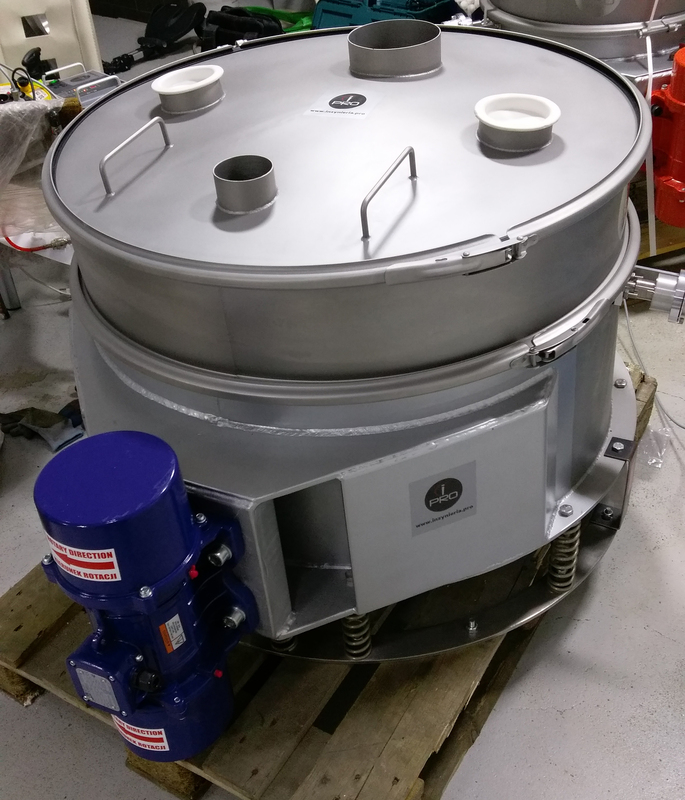 We design and build vibrating sifters for customer requirements. 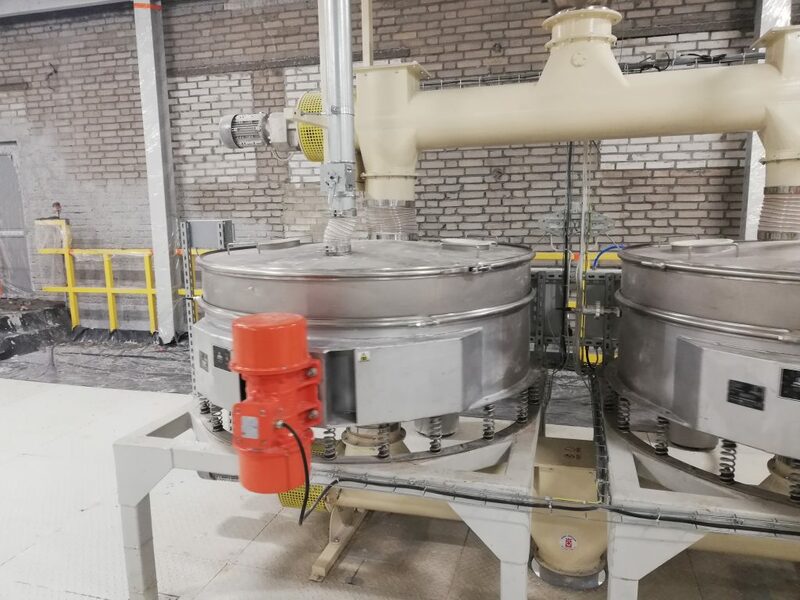 Our experience and versatility of solutions allows us to choose the right device for sifting the most difficult products (flour, sugar, powdered sugar, starch, toners, cosmetic powders, etc.). 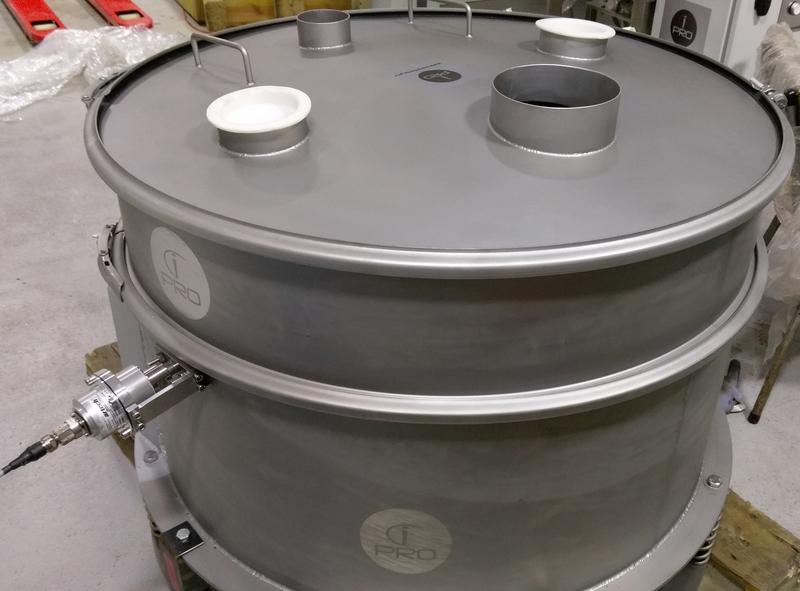 Ultrasonic mesh cleaning systems leads to significant improvements of the production process. 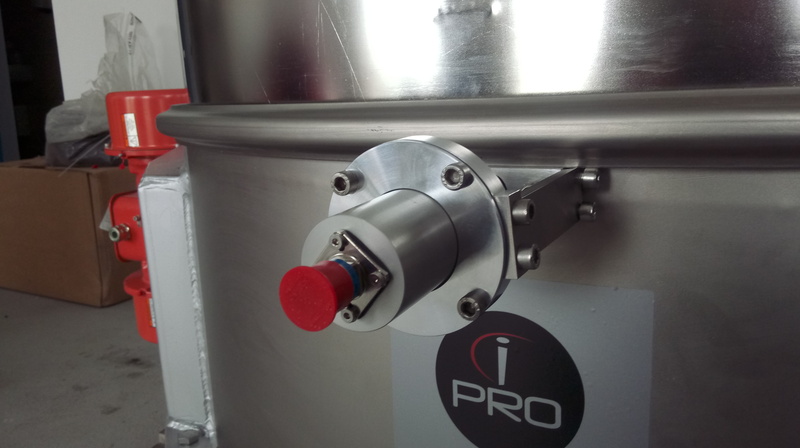 Experience has shown that especially fine particles in the lower µm range can hardly be screened without ultrasonic. Ultrasonic deblinding system will eliminate blinding and blockages of the mesh.